Can I connect my ETH wallet to Coin Stats app? If you have a MetaMask wallet, or MyEtherWallet or any other Ethereum wallet where you store your ETH and all the Ethereum based tokens can you can connect to Coin Stats app to check your wallet holdings and their prices in real-time. 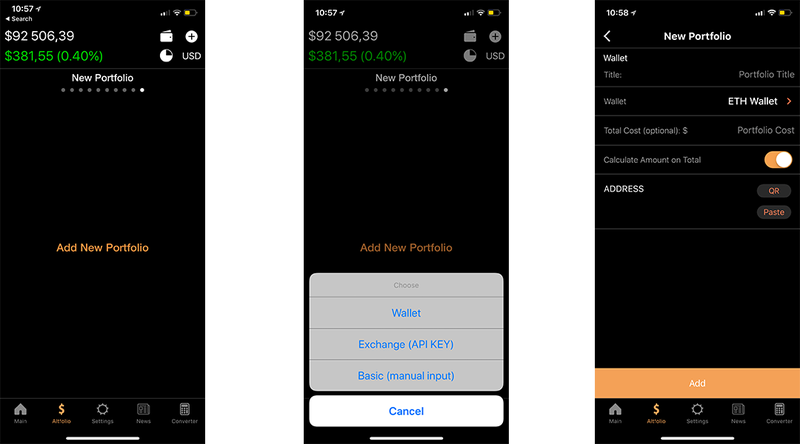 After selecting ETH Wallet, pasting your Public Address and clicking Add you will see your wallet added as a separate portfolio to Coin Stats app. Feel free to contact our support if you're having any issues.